When you are looking to implement SEO into your marketing mix, you will want to be sure to invest in proper SEO strategies. That way, you will be able to give your website the best chance to rank well within your industry for respective keywords and key phrases pertinent to it. Below, we will talk about some of the best strategies to implement and why they are still effective. 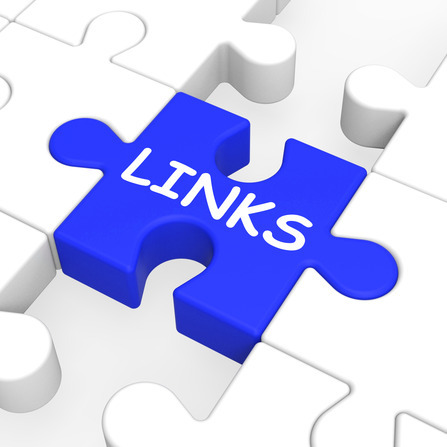 When it comes to SEO, one of the most effective strategies to this day would be link building. The search engine algorithms are constantly looking for information that will allow them to accurately detect which websites are high quality and which websites do not offer high-quality content. Thus, one of the parameters that they use in order to accurately detect this is the respective links it gets from other websites. It uses this information as a means to validate whether or not the website is high quality because the more quality websites that link to it, the better the chances it is a reputable and high-quality site itself. As a result, if you are looking to invest in a top tier SEO strategy, you are going to want to use link building. Another good strategy that you are going to want to get into your overall mix is social media engagement. Not only does social media help with generating a good amount of organic traffic itself, but it can help with link building efforts as well. Thus, having a lot of social media focus on your marketing mix can really improve your total ranking potential. Why Are These Strategies Still Effective? Search engine providers are constantly looking to improve their end user’s experience. Because of this, they need to utilize different kinds of criteria in order to effectively achieve the right rankings for respective keywords and key phrases. Before, you used to be able to stuff all kinds of content with the keywords that you wanted to rank for and achieve the kind of results that you might be looking for. However, this is no longer effective because search engine algorithms are getting much more intelligent and they are utilizing various factors to tell whether or not content is high quality. The biggest way they do so is by looking at the links that are being directed to the content and website in general. Thus, link building is and will continue to be one of the main things that search engine algorithms will look towards to see whether or not a website deserves to be ranked higher for various keywords and key phrases. These algorithms are also using social media and the level of engagement that the website’s profiles have in order to see whether or not they are a brand that people want to learn more about and to figure out whether or not they are an authority within the industry. Because they are looking to provide the best quality results to their users, it is important that they rank the highest valued and biggest authorities in the industry. Therefore, they use both the number and quality of links as well as the social media information to base the ranking decision on. Overall, there are plenty of different things that you can do to effectively get your website to rank better in the search engines. By following the tips above, you should be able to position yourself well to achieve the best possible results when it comes to maximizing your ranking for respective buying keywords and key phrases within your industry.